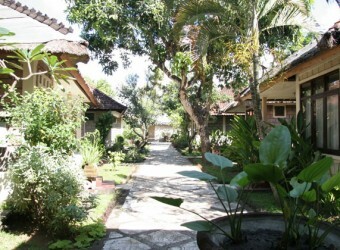 Bali Hotel It is in convenient location of 5 minutes by car to the airport and 5 minutes by car to the shopping mall. It is located in the center of liven-up town but the hotel site is quiet with green garden. Superior room has canopy bed, and guests can enjoy Balinese atmosphere.